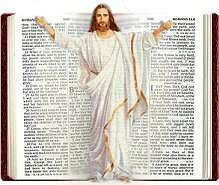 The term used in the New Testament “Scriptures“, referred directly to the Old Testament which included the law, the prophets, and the writings; but not the New Testament itself. The reason this passage seems baffling is having sat under almost 6 decades of preachers, I have yet to have someone show me Jesus as the main focus of attention concerning ALL of the Old Testament. We see where God uses the examples of individuals lives and experiences which were played out to display aspects of the Messiah as seen in the life of Joseph, the event of Isaac’s sacrifice, to mention two. Of course we have the direct and indirect prophecies, which in retrospect we understand are description of the roles and personage of the Messiah, as also found in what we would call the titles and names which again were descriptions of Christ. Yet as a whole, shown me Where preachers present Christ in the Old Testament as the main subject matter and main focus, As opposed to teachings regarding man, his fall, his makeup, his redemption; many teach that man and redemption is a main focus. First, we need to realize that the writer here is quoting Psalm 40:7, as well as stating it’s current application even as it related to the sacrificial system; thus indicating that this Scripture has fulfillment in the Old Testament and in the New Testament, as the passage has meaning concerning both the Old and New Covenants (Hebrews 8:13), indicating that Jesus is preeminent in both the Old and New Testament. In the English this text seems somewhat straightforward, though many misunderstand the use of the word “volume” thinking it means the amount of space concerning; yet this is NOT what it means, it has greater significance than even this misunderstanding. 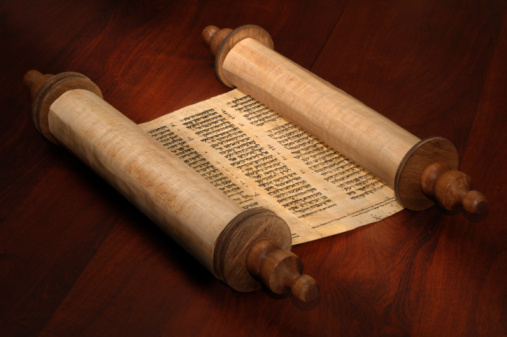 At the time it was written, the Hebrew Holy Scripture was a long manuscript which we commonly refer to as a scroll which was rolled up due to its massive length (Codices, synonymous with our ideas of a book with individual pages that were held together by a binder were not yet prevalent). In order to handle the scroll without damaging it, and to aid in reading the scroll, the Hebrews used a kephalis, which were wooden rods that would be placed at the end of each side of the scroll, in order to facilitate the reading of the scroll by simply unrolling the kephalis on the left, and rolling up the kephalis on the right (remember, Hebrew was read from the right to left). What we are less aware of is that everything in God’s Word – everything, within the whole of God’s Word, including the Old Testament points to Christ – He is on every page! Such as the fact that all of the events and symbols within Hebrewism which God set up are metaphors, examples, models, symbols and pictorials of the role and personage of the Messiah as seen in such things as the seven “Feasts of Israel,” the architecture and materials of the Tabernacle and the Temple, the priesthood and the Levitical system as a whole, relationships such as the “Kinsman-Redeemer,” and today’s subject, the establishment of redemption as seen in the six “Cities of Refuge” which God established. 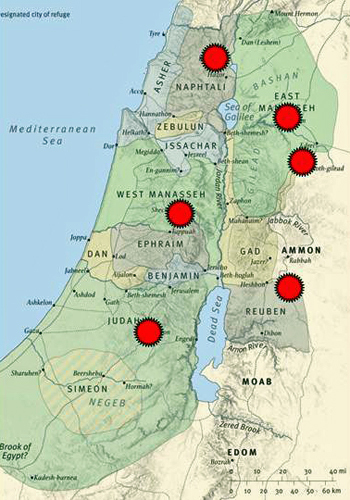 The purpose of the cities of “refuge“ (Hebrew: miqlat, meaning “to contract” or “receive“) was to provide a shelter for any who “killeth any person unawares and unwittingly,” which we would referred to as involuntary manslaughter. When a premeditated murder was committed, the penalty must be paid – death. The family “Avenger of Blood“ (“Avenger” in the Hebrew is: gaal or goel hadam) was a literal term and function, the person who held this position was the next of kin, or the head of the family in many instances. The Hebrew word “Avenger” literally means “redeemer”, he who brought back the honor of the family by slaying the murderer (Deut 19:12). 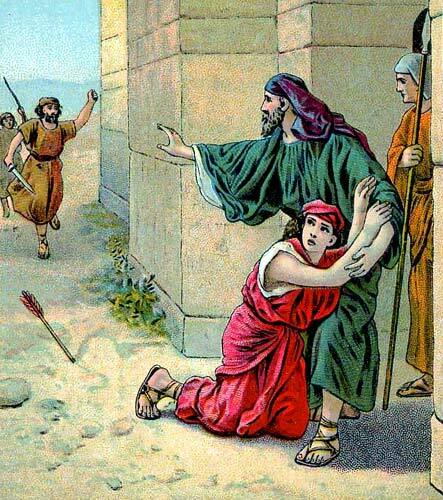 He had two main functions; he could redeem a family member in debt, such as Ruth (Ruth 3:12-13); and he was the “Avenger of Blood,” seeking justice when a family member was murdered (Numbers 35:18-19). A man that did miracles, and displayed only that which was good. However, the fact is that there were those that understood that Jesus was claiming to be God, in fact most of the people understood that, he was very open about it, if you really look at what He said. If you examine every situation where Jesus does or says something wherein afterwards the religious leaders and Pharisees pick up stones to stone Him, these are situations where He claims deity. The punishment for blasphemy by claiming to be God is stoning. Jesus claimed to be Divine (See Endnote # 2 regarding Christ’s claims of deity). Yet in spite of His assertions, and the belief by many that He was the Son of God, as a nation; they did not recognize their Messiah. Jesus’ words were a statement of fact – a technical statement of fact – a legal statement of fact that was necessary regarding salvation unto repentance of the Jews, as well as us too. 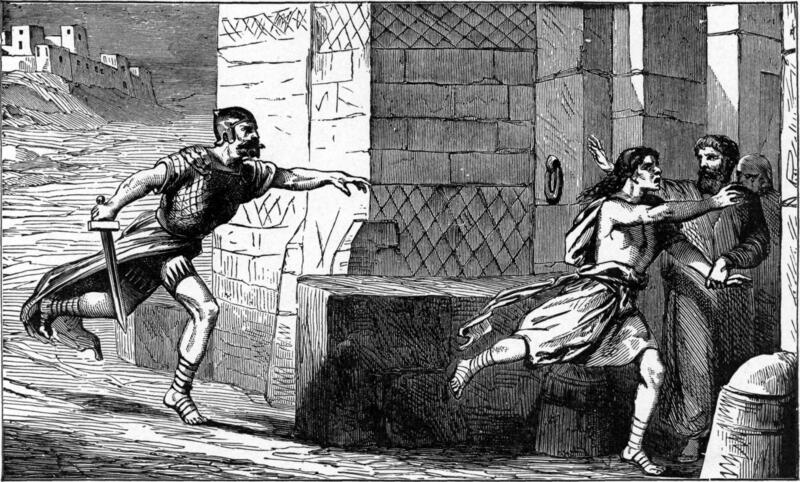 But Jesus paid the price of salvation for anyone who believed in Him and His atoning death, wherein a lack of knowledge of who He is created the environment of their choice to reject Him, analogous to manslaughter; Wherein those that truly perceive that he was a son of God and chose to reject him would be guilty of murder. This not only pertain to the Jew of his day, but unto those who heard the gospel and responded later, namely the Gentiles; as well as those Jews during the tribulation that will turn to the Lord and repentance, understanding that Jesus is their Messiah. One way of understanding this is to examine at the Angels, Those angels that rebelled and were cast out of heaven would Lucifer for their lack of belief and faith in God wherein they disobeyed because of this lack of belief. The point being is that regarding rational beings the choice to disobey God is based upon a lack of faith that there will be an ultimate penalty for that disobedience. You cannot disobey without exercising a disbelief in God that he has the power and the will to punish that disobedience. Disobedience and a lack of faith are always connected. What rational being would choose to fight against God when they truly believe that they will spend eternity in hell for that choice – none is the only rational answer to that question. They either did not believe in God’s ability to protect his kingdom from Lucifer and stop them from their take over, or they did not believe in his commitment to do so – either way they did not believe in God, and therefore rebelled against Him, perceiving Him as weak. Their lack of forgiveness was based upon their full knowledge of God, yet they still chose to not believe in him and rebel. They were in God’s very presence and could see Him, they interacted with God and saw His greatness; they saw God with their own eyes and yet still chose not to believe in Him. 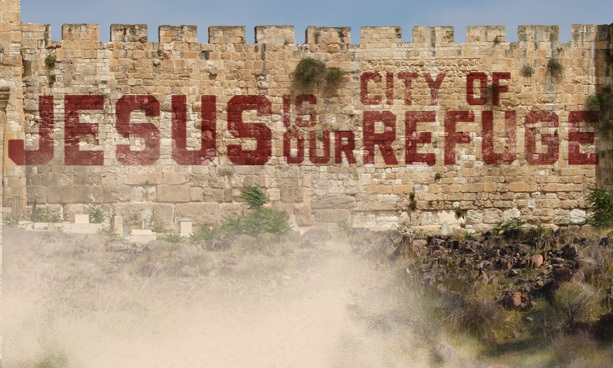 The point is, that Jesus is man’s city of refuge – where man who has the blood of Christ on His hands because of His own sin, can go to Jesus “the City of Refuge” because what they did, they did in ignorance. The Sanhedrin definitely planned to have Jesus crucified; however, at the same time, God had planned this by His pre-determinant council (Acts 2:23 ~ “Him being delivered by the determinate counsel and foreknowledge of God, ye have taken, and by wicked hands have crucified and slain:”), yet did they do it in knowledge, did they mean to execute the Son of God? There were those among the Sanhedrin and the Pharisees who knew that Christ was the Messiah, the anointed of God, not only God’s representative, but God incarnate. 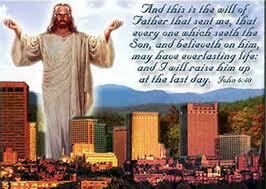 The Jews never believe that the Messiah was a mere man, they always taught him believe that he was deity. These would be the same individuals that Jesus confronted which committed blasphemy of the Holy Spirit, the sin that can never be forgiven; the reason why is that blasphemy is slander, and slander is to openly lie about someone in full knowledge. 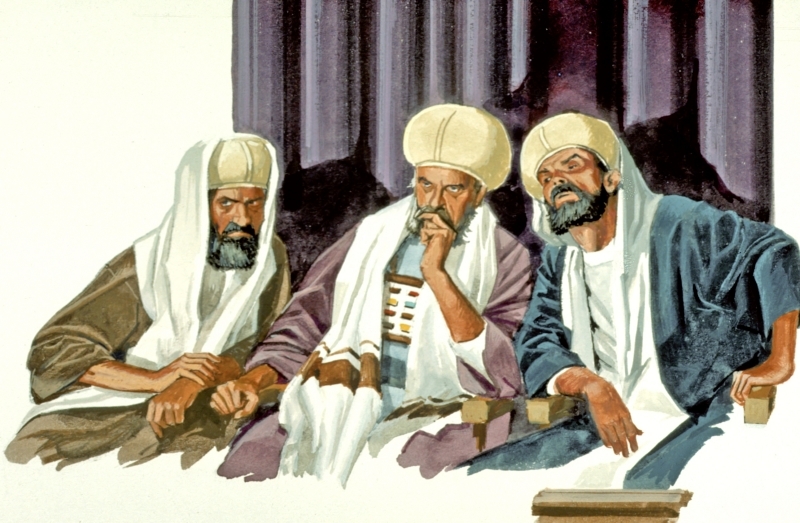 Those that committed blasphemy of the Holy Spirit as acknowledged in their prior statements that they believe that Jesus was of God when they called him the Lord (Seen in the text where the translators used Capital letters to distinguish deity from men of power and prestige), Yet when he contradicted their teaching regarding the Sabbath which jeopardize their standing and therefore their livelihood; they chose to slander the Holy Spirit incomplete knowledge. They knew exactly what they were doing and they choose to defy God and slander the Holy Spirit for personal gain – this is unforgivable because the person by the very nature refuses to seek forgiveness. The Pharisees that committed this sin did it incomplete knowledge, by analogy they would be those that in full knowledge crucified Christ which would be murder. You see what held Christ to the cross were not those nails, but his love of those who would Choose to believe in him. 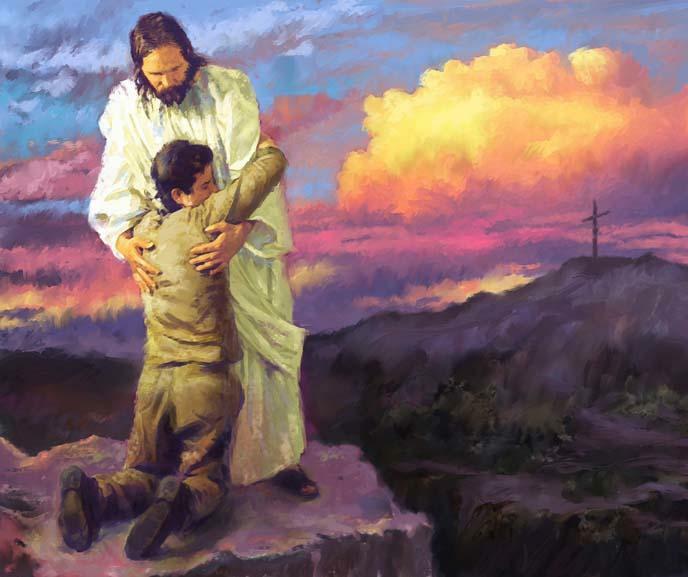 Who in ignorance and the blood of Christ on their hands, who were guilty to manslaughter, Who would choose and repentance to turn to the living God Forgiveness of sin through God’s grace accessible by faith (See Endnote #5, “Who Really crucified Christ”). As all that surrender their life in faith to God and to Christ for his atoning work on the cross, those that are guilty of manslaughter yet not murder, those that run to Christ as our city of refuge, to those God calls to be His children – Adopted into God’s family, sealed with the Holy Spirit. Jesus, our High Priest in whom we are completely secure, died at the cross for you and for me; therefore, the Avenger of Blood (Remember deaths Angel at Passover, wherein every household who displayed the Blood of the Lamb on the threshold was saved; Yet for those who did not believe and respond, only death and destruction remained for the oldest male child, the representative of each families posterity) cannot touch us! Thank you to Chuck Missler for most of the above in number 1 and 3.